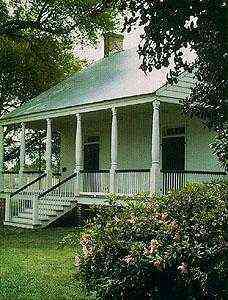 Find tourist attractions and things to do near Houmas House Plantation and Gardens View Map. Guided Swamp Tour near Nottoway Plantation 1.5 Hour guided Atchafalaya Spillway and Bay Natchez swamp tour. Minutes from Nottoway Plantation in White Castle, LA. Established in 1999 by Rodney Daigle, who was born and raised in White Castle, LA. Acadian Swamp Tours is open year round. National Historical Park & Preserve located on the Banks of beauiful Bayou Lafourche Enjoy the story of the Acadians who settled along the bayous, swamps & wetlands of south eastern Louisiana who came to be known as the Cajuns. National Partk Rangers on hand to answer questions. Group tours available. BCCM will provide area children and families with opportunities for play, learning and creativity in an informal and innovative setting. Museum of Political History Louisiana's Old State Capitol, a Gothic architectural treasure, stands high on a bluff overlooking the Mississippi River in downtown Baton Rouge.Today, the building stands as a testament to bold, inspired leadership and active citizenship. Discover the beauty of the swamps of southeast Louisiana. Located on LA Hwy. 307 in Kraemer Louisiana. Captain Roland Torres, your Cajun guide, is a professional alligator hunter, trapper & commercial fisherman. This French speaking guide has lived in the area swamps, lakes & bayous since boyhood. Open daily 9 A.M.- 5 P.M. Experience sugar plantation life! Walk the floor boards of a pre-Civil War plantation worker's cabin and see the sugar plantation "big house" that exemplifies the lives of creole sugar planters who lived along the Mississippi River. Charter fishing at its best. Blue water, brackish, fresh. All trips are all inclusive. We also customize trips for your convenience if needed. Full day and half days available. Come fish with the best. Over 30 years experience.